All ages! All levels! All styles! As an official member of the DW Drums Department Of Education, the D’Addario Education Collective, and a certified member of the National Association Of Rudimental Drummers (N.A.R.D. ), Angel Bartolotta has been teaching students of all ages, from 4 years old to 80+, for over a decade. He specializes in beginner lessons, but also works with intermediate and advanced players who are looking to learn something new. With over 20 years of world touring and major studio sessions under his belt, Angel offers much more than the average drum instructor. As an added bonus, all students will have access to the STUDENT ZONE, a site that offers exclusive lessons, videos and a forum open only to Angel’s students! 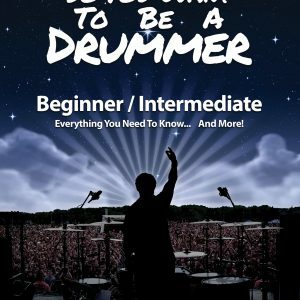 The perfect way to start your journey as a drummer! These lessons cover stick control and technique, music reading, rudiments, warm-ups, coordination, beats, fills, double bass, and stick tricks. All ages and skill levels welcome! Includes Certificate Of Completion! * “SoYouWant To Be A Drummer” book sold separately. A fun and easy way for kids (ages 4+) to learn how to play the drums! 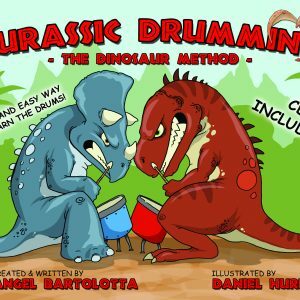 Students will use The Dinosaur Method, an easy-to-use lesson plan created by Angel Bartolotta that uses different dinosaur names and sounds to make music reading and drumming easier, more understandable, and most importantly, FUN!!! All lessons include illustrated worksheets, dinosaur prizes, and some extra surprises for the drummers! Includes Certificate Of Completion! * “Jurassic Drumming” book/CD set sold separately. This course, for beginners and advanced drummers, concentrates on the importance of right and left foot independence. Learn beats, fills, and master speed & endurance! All ages and skill levels welcome! Includes Certificate Of Completion! * “Double Bass Boot Camp” book sold separately. 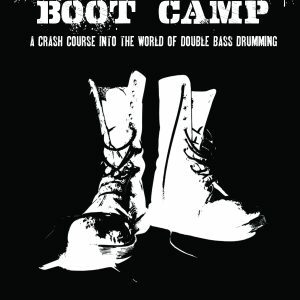 A class for the intermediate/advanced drummer looking to expand their coordination, independence, technique and overall skill level. The lessons are centered around the 40 International Drum Rudiments. It’s a modern approach to playing rudiments on the drum set. Learn the history of the rudiments as well as over 1,000 exercises using rolls, paradiddles, flams, drags, buzz rolls, beats, fills, double bass, hybrid rudiments and more! This course is open to all ages. Includes Certificate Of Completion! 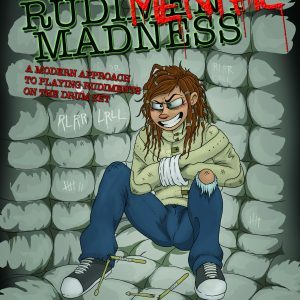 * “RudiMENTAL Madness” book COMING SOON! If you are interested in signing up for lessons, or if you’re interested in having Angel teach at your school/store/studio, fill out the form below. 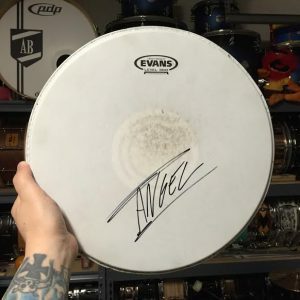 "As a student of Angel's whether you've played drums before or haven't touched a drum kit in your life, he explains step by step each note, beat, and rhythm until he makes sure you understand it before moving on to the next exercises. After catching a Team Cybergeist show for the first time, I realized going to Angel for lessons was the right choice by the amazing power and dedication he has behind that drum kit. Amazing drummer."